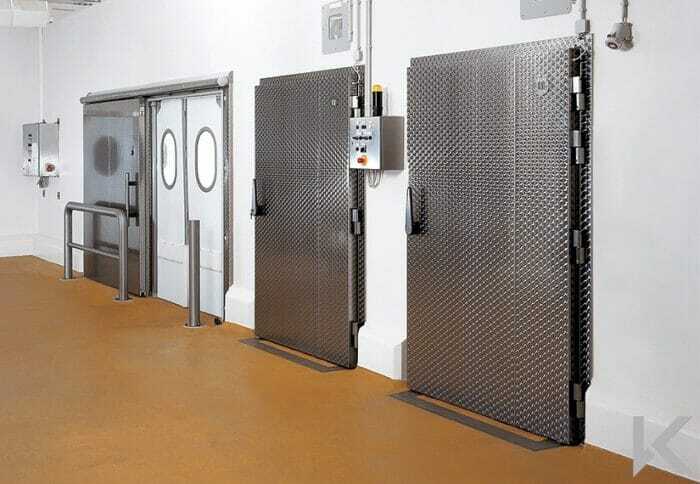 The Thermashield HD range of insulated hinged doors is specially designed for cold rooms and freezer rooms to help minimise energy costs. The range is designed to optimise performance in terms of insulation, durability and ease of use. 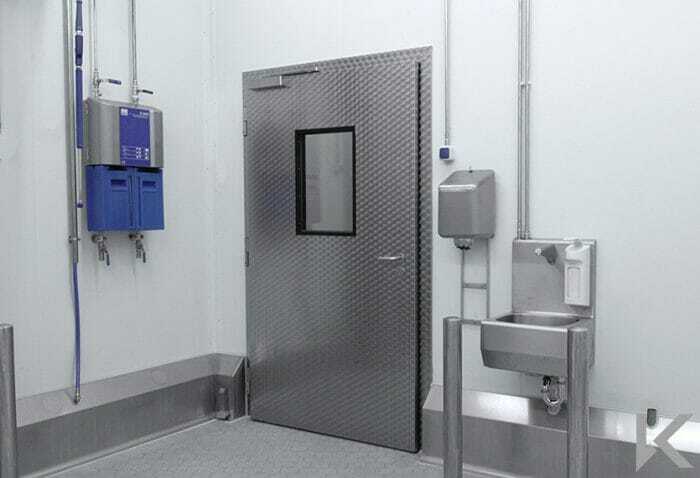 Available with a wide selection of ironmongery options and hygienic finishes, these doors can be suited to any temperature-controlled application. 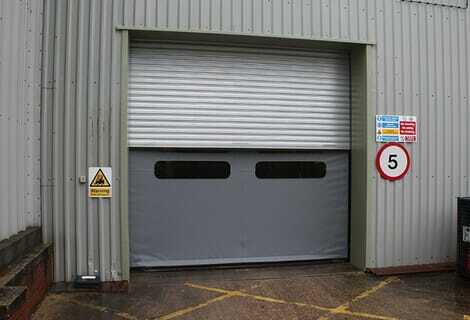 The door leaves are high-density PU foam-filled (CFC-free) for maximum energy-saving performance. 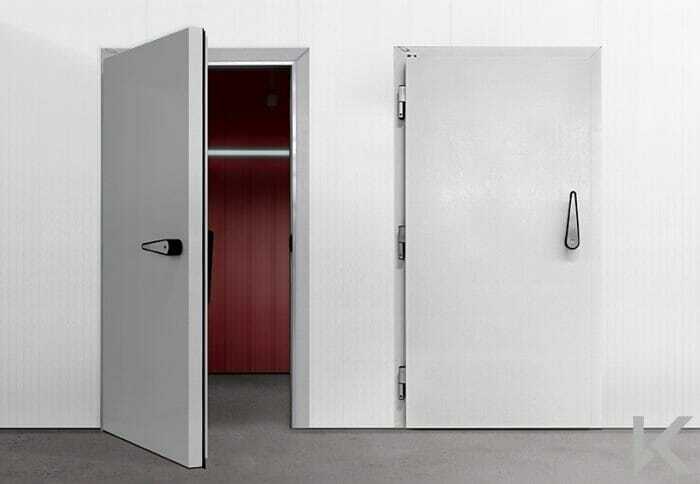 The door frames can be constructed from extruded thermoplastic, PU foam-filled (CFC-free) steel or stainless steel to suit the wall construction and maximise the doors energy efficiency. 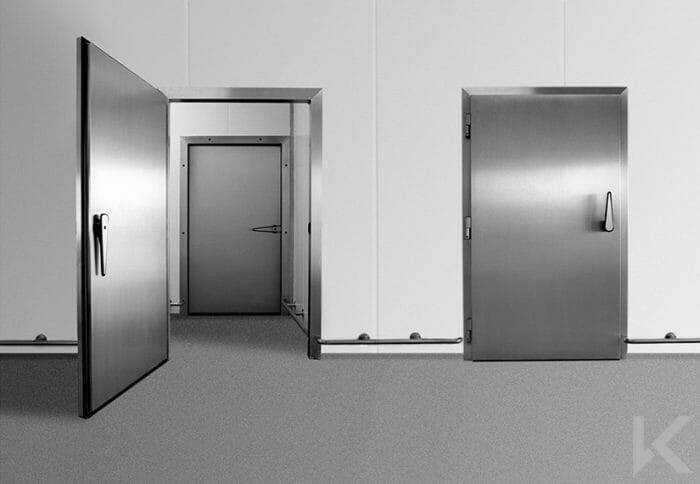 Doors are available with leaf thicknesses from 80mm to 160mm for use in rooms with a desired temperature down to -40Â°C. 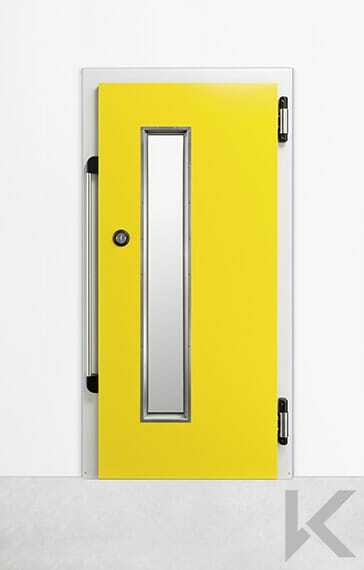 All door models are available in finishes including: Stainless steel (circular brush finish; matt brush finish; or strip finish); Galvanized and painted to a range of colours; or from Galvanized steel sheet in white laminate finish. 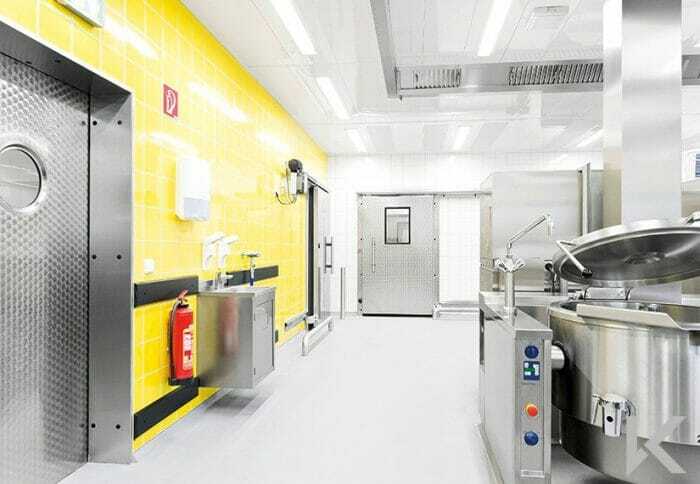 These finishes offer superior performance in terms of hygiene and corrosion-resistance, allowing them to be completely cleaned down to meet strict hygiene regimes. 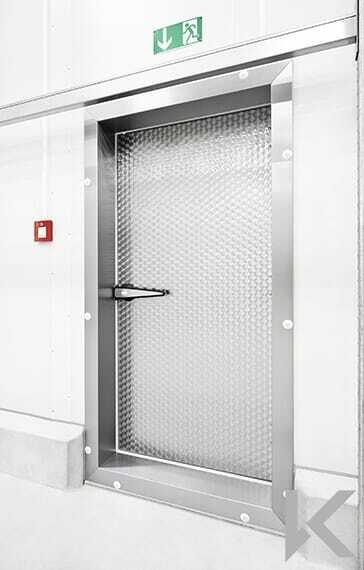 The doors have rising hinges to ensure a tight compression of the seals and help prevent wear on the bottom seal, resulting in excellent long-term insulation performance. A popular option is the magnetic close and adhesion system which provides a superior seal for temperature control. The door is extremely easy to operate and reliable with much less risk of damage or wear and tear than doors with traditional lock or latch systems.